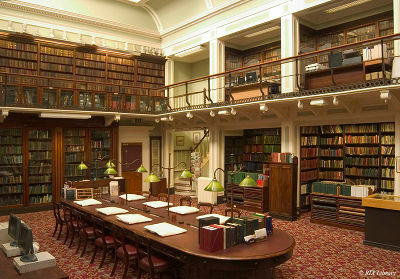 I spent a most enjoyable evening last week at the Royal Irish Academy. 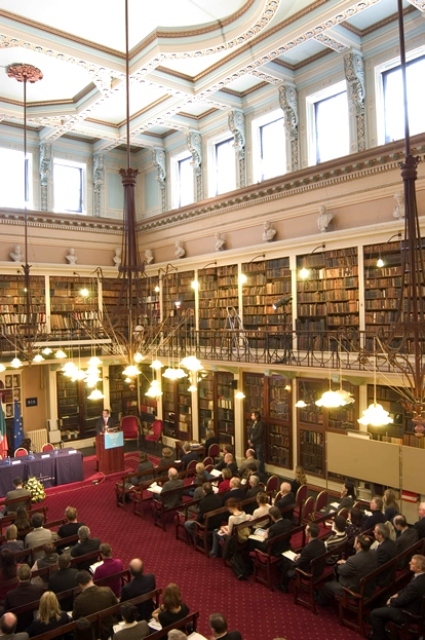 Ireland’s premier learned society, the Academy is an all-Ireland body that promotes excellence in the sciences and the humanities, fostering links between ‘the two cultures’. Membership of the Academy is considered a high honour amongst Ireland’s academics, and former members include eminent Irish intellectuals such as William Rowan Hamilton, Ernest Walton, Seamus Heaney and W.B. Yeats. The evening was most enjoyable, with erudite professors of science and the humanities intermingling in the Academy’s beautiful premises on Dawson Street in Dublin – indeed part of the remit of the Academy is the promotion of links between the two disciplines. The ceremony included speeches from Jan O’ Sullivan , our Minister for Education, and Tom Boland, director of the Higher Education Authority. One surprise was that the event did not include acceptance speeches by the awardees. This seemed strange, given the prestige of the RIA medals (imagine a Nobel award without the speech). One would have liked to hear the recipients describe their research, thank colleagues, and comment on the challenges of academia. In particular, I thought it was a pity that there was no opportunity for two highly distinguished academics to respond to the speeches of the Minister for Education or the Director of the HEA. 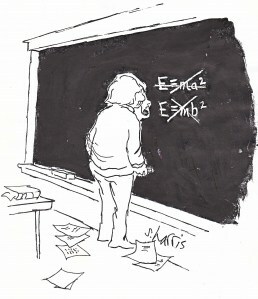 For example, I suspect Werner would have liked to comment on the current lack of funding for research in basic science and its impact on the study of mathematics and theoretical physics in Ireland (and on his Institute). I have never met Professor Clarke, but it would have been most interesting to hear his views on the challenges faced by historians in Ireland. There is a short article describing the event in the Weekend section of The Irish Times. However, it’s easy to miss as there are no photographs and there doesn’t seem to be an online version.